When the team heard about Urban Heat Island, we wondered if there are some solutions. One of the ideas we found is a dome. 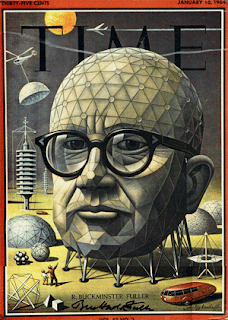 Bucky Fuller is the person that thought about the Manhattan dome idea. 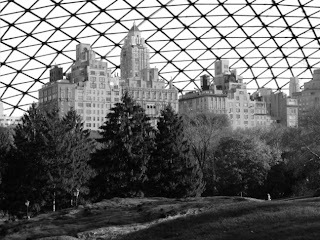 The Manhattan Dome Proposal was an idea to cover part of New York City in a dome. A glass dome sounds like it will shatter in a tornado but it’s very strong. Take an egg for example, eggs are fragile and can be broken when dropped but it can hold up to 40 pounds! That is a lot of weight one small egg could hold! It is strong because the egg is a dome so a glass dome probably would not fall in pieces during a tornado. The reason a dome is a very strong is because of its shape. A s you build a dome higher and bigger, the stronger it will be. The dome is strong because of the way it distributes the weight. The dome has a shape that sends the weight through the entire structure. That is why it is the strongest shape in architecture. Domes can be made out of more than glass. 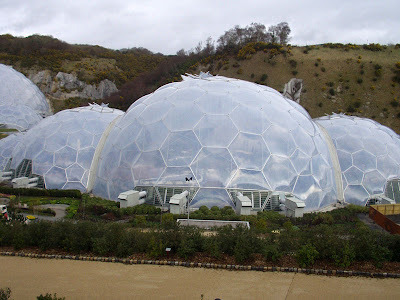 In the Eden Project, they used hexagonal panels that were covered with many layers of inflatable, light plastic foil. The two domes in the project cover about 5 acres of land. Hobbes is saying that people have technology that they don't completely know what to do with.